Continental Diesel is in every respect, the leading brand for certified kerosene piston aircraft engines in general aviation. The longest experience, most engines in operation, best tracked reliability, most diesel flight hours and the largest service network for diesel aircraft engines. International Aviation Support has the necessary certifications and experience to provide retrofits, replacements, upgrades and maintenance services for the Continental Diesel engines. The Continental Diesel engines are certified according to the requirements of FAA and EASA and are technically advanced diesel engines which can operate on auto-diesel (DIN 590) and on the standard aviation fuel kerosene (Jet Fuel, Jet-A). Continental Diesel engines can be used both as a retrofit and for factory new aircraft. As far back as 2001, the manufacturer of Continental Diesel engines became the first company in the world to receive type certification for its kerosene piston aircraft engines. 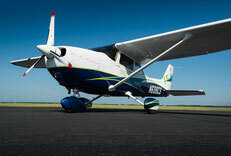 The company offers state-of-the-art, fuel efficient kerosene piston aircraft engines flight schools, charter companies, clubs, and every pilot who wants to enjoy lower operating costs for fuel and service. Altogether, the some 3,500 plus Continental Diesel engines operated in General Aviation have to date successfully completed more than 3.5 million flight hours. With the CD-135 Continental Motors Group offers a jet fuel piston engine for general aviation with a take off power of 99 kW (135 hp). The CD-135 is a turbocharged 4-cylinder in-line engine which is EASA certified since August 2006 and FAA certified since October 2006. The predecessor, Centurion 1.7 is certified by the European Aviation Authorities since May 2002 and the FAA certified since October 2003. The weight of all Centurion engines 1.7 and CD-135 is identical so that each 1.7 engine can be replaced by a CD-135. The CD-155 is a jet fuel piston engine for general aviation with a take off power of 114 kW (155 hp). 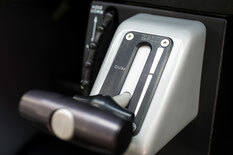 The CD-155 is a turbocharged 4-cylinder in-line engine which is EASA and. The CD-155 is certified for the use of both jet fuel and diesel (DIN EN590) and is running with the two fuels in any mixture ratio. 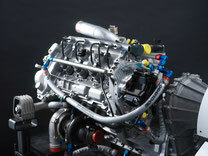 The engine has a time between replacement (TBR) of 2,100 hr. Despite of improved performance, the CD-155 has the same weight as the CD-135.